Life is challenging enough for parents and children without the added difficulty of having an ostomy. The children’s pouch covers are designed to detract from any potential stigma that may be associated with an ostomy. These covers are exciting, decorative and available in a variety of designs. If you do not see the design of your child’s choice, please feel free to make a special request and we will be happy to accommodate it. 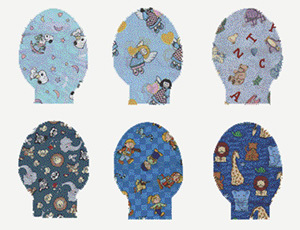 The children’s covers are designed with a self-absorbent “wick” material to absorb moisture. This is a great way for a child to find a pattern related to a favorite hobby and to help the child feel special and more comfortable in dealing with the ostomy.